“We love our Norwex in the salons!!! 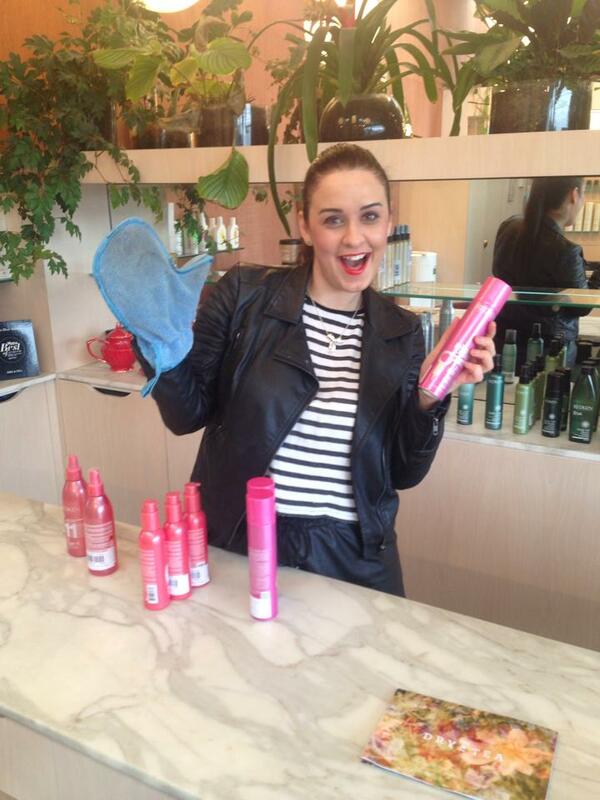 Here is one of the Stylists Kristelle in action” from DRY & TEA New Zealand!! When Norwex announced they were expanding into New Zealand early in 2015, I was SO EXCITED!! A few months ago my awesome cousin Amy, who LOVES her Norwex bought the business Dry & Tea– a hair dressing salon experience in New Zealand and I got a message from her requesting Norwex for the Salons. So off went two Kick Start kits (an enviro cloth, polish cloth & dust mitt) in the post. After they arrived, I received this photo of one of the girls and she said how much they LOVED the Norwex in the salon- the dust mitt so perfect for cleaning surfaces and dusting products, the enviro & polish perfect for mirrors & cleaning. * If you are in New Zealand (or Australia) or know someone who would be interested in a ground up business opportunity (A LOT of the training we do is online so this is easy to do!). If you would like more information feel free to look at it here or check out the tab at the right about starting a Norwex business. If you are from any of the countries Norwex is in or about to be in and you would like to sign up, I will soon be able to help you as well and get you some help, so feel free to contact me below as well. If you are interested in reading our “Norwex Purpose” booklet– it’s all about Norwex, the mission and was actually one of the KEY things I read that I inwardly went “yes, I really love all that this company stands for and the direction they are going”. Previous PostNorwex: Where do I start? The basics explained.Next PostKitchen Cleaning Made Easy With Norwex!